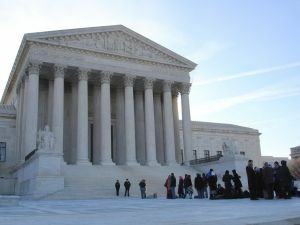 This week in a 6 to 3 ruling, the United States Supreme Court issued its decision in King versus Burwell, a case brought as a major threat to the viability of the Affordable Care Act (ACA). Congress, health providers, Supreme Court and Affordable Care Act watchers and more than 6.4 million consumers who benefit from health coverage assistance in the form of federal subsidies under the Affordable Care Act (ACA) had anxiously awaited a ruling in the case following the presentation of oral arguments in March. Plaintiffs in the King case had argued that the language of the ACA allows for certain subsidies only as to state-established exchanges, but not as to federally-established exchanges. This premise challenged the Internal Revenue Service interpretation that U.S. Treasury regulation 26 C.F.R. § 1.36B provides for tax subsidies as to both federal- and state-established health insurance exchanges, not just exchanges established by the states. The Plaintiffs’ rationale was that their more narrow interpretation of the ACA revealed Congressional intent in establishing tax subsidies as incentives for states to benefit their citizens by creating health exchanges. Presently, about 6.4 million people across the United States receive tax subsidies to help pay for their health insurance – including residents of a majority of the states, which have not established health insurance exchanges. In 2015, only sixteen states and the District of Columbia have established health insurance exchanges, per a report by the Henry J. Kaiser Family Foundation. Had the Supreme Court ruled in the King case that the ACA does not provide for subsidies to be used to supplement health coverage in states which have not established health insurance exchanges, millions of Americans, including more than 500,000 Georgians, stood to lose health benefits. Such an outcome would have severely undermined the economic structure of the ACA. In that event, Congress would have needed to act swiftly to preserve financial assistance, a difficult proposition in today’s political climate. Congressional Democrats and Republicans were braced for a ruling for Plaintiffs in the King case. Representatives from both parties had generated proposals to mitigate the damage of a ruling that could stop the flow of funds to consumers receiving assistance. Leaders from both parties expressed intentions to arrange for short-term subsidies for consumers enrolled in the federal exchange. If you have questions about this post, contact our Georgia business and healthcare law firm today for additional information.